Vidyarthiplus Campus Ambassadors is a network of students to form bridge between Campus and Vidyarthiplus. Our objective is to make students aware of happenings in other colleges and outer world them and also handy lookout place for all other jobs,placement and e-learning sites which people don't know about them. Its you our Campus Ambassadors what makes us special. You are our resources.Its through you, we reach different colleges and promote. - Be in Touch with Vidyarthiplus Team and your Campus network. - Help us to better understand your campus culture and events in your College. - Build relationships on campus with faculty and student groups. - Serve as a strategic link between your college and Vidyarthiplus. - Share the latest events on Vidyarthiplus among your network. - Help your Fellow students to understand about Share , Learn and Earn (SLE) Program. - Make people aware of Vidyarthiplus and its Service through social media and other resources you have. - Registration fee for all the Events/Contest conducted by Vidyarthiplus and Partners of Vidyarthiplus will be fully free for Vidyarthiplus ambassadors. 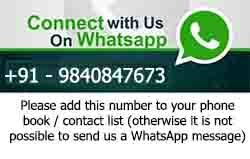 - Receive regular updates about new events/contest and important Updates from V+ through Email or SMS. - Surprise Gift to active VCA at the success of every event/contest. -Recognition of active Campus Ambassadors on Vidyarthiplus Facebook page and Google Plus Page. - VCA is open only to students. Students from any engineering course, management course across the country are most welcome to take part in this Campus Ambassador Program. Do you think you are suitable for this post? then Why are you waiting for? For more information about VCA is in the document which is attached below.